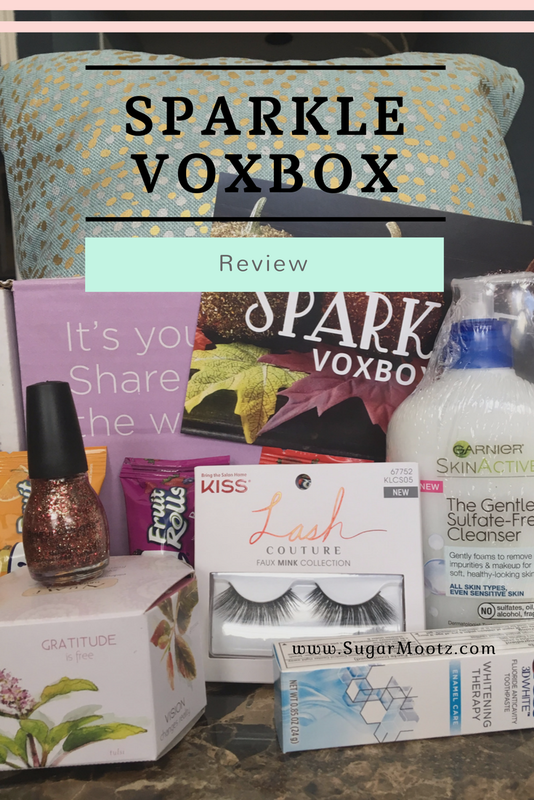 I was one of the lucky people that was chosen to receive the Sparkle VoxBox from Influenster. I received these products complimentary in exchange for testing and my opinions. 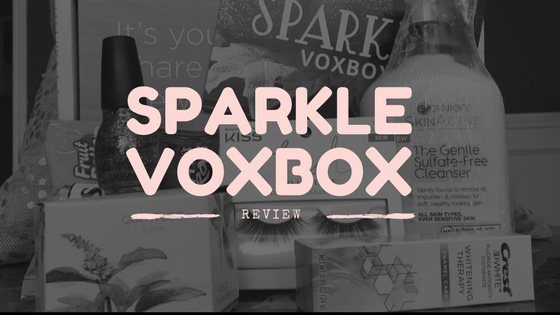 The Sparkle VoxBox contain a lot of products that I had never tried before. Specifically, the box was made up of a tube of Crest 3D White toothpaste, Kiss lash couture eyelashes, Welches Fruit rolls, Garnier Sulfate Free Cleanser, Numi Tea, and a Sinful Colors nail polish. Crest 3D White Enamel Care Toothpaste: I was hesitant to try this toothpaste. Mostly, I was worried about finding little plastic beads in my toothpaste. Not only was the paste bead free, but it also tasted like normal toothpaste. I wasn't left with a nasty after taste, after using this product. I took a before and after picture. (you don't need to see my busted up teeth) The results weren't super dramatic but it definitely took off surface stains. Overall, I would use this again. You can buy this toothpaste, here. 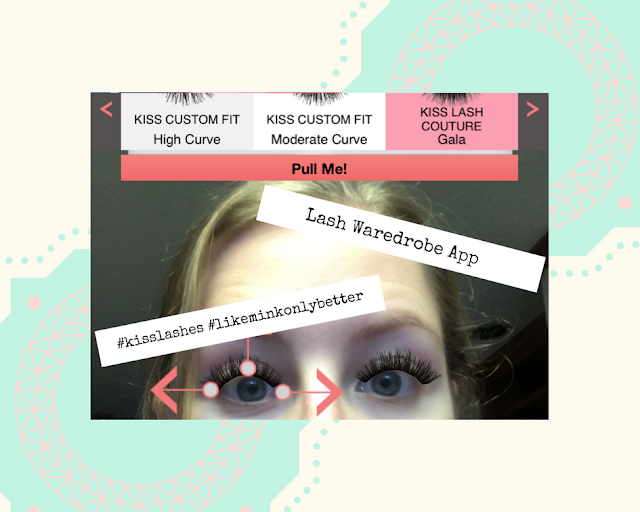 Kiss Lash Couture Faux Mink Lashes: I love a dramatic fake lash. I happened to be given 'Noir' to try and it was extra dramatic compared to the others. I don't wear fake lashes every single day but I like them for special occasions. This pair happened to be a little too dramatic for daily wear. If I were going to wear these during the day, I would have picked a more natural looking lash. I know which ones I would like now because I got to try Kiss's Lash App. You get to try on all their lashes without all the glue! In terms of quality, these lashes were easy to apply and customize to your eye. I don't know if they made me want to switch brands but I liked wearing them. You can find the app by clicking, here. You can buy the lashes, here. Welches Fruit Rolls: Fruit Rolls are one of my family snacks from my childhood. Except the ones I ate probably didn't have any fruit juice in them. This was the first product from the VoxBox that I tried. I ate them so quickly that I barely have any pictures of them. (Sorry!) You can buy these delicious fruit rolls, here. Garnier Skinactive 'The Gentle Sulfate Free Cleanser': For a gentle cleanser, this face wash cuts through makeup. It barely suds up so I thought that it might leave me oily. My face afterwards just felt moisturized and clean. This wash would be great in the winter when my skin is drier than normal. If you are looking to cut out the 'makeup remover' step in your routine, this is for you. Interested in this wash? You can find it , here. 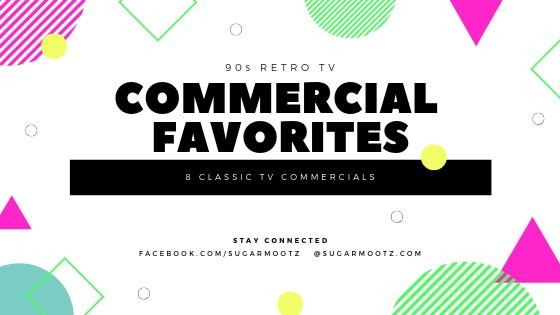 The 2017 Holiday Season is approaching us and, if you are reading this, you might be looking for gift ideas. This year, there is a lot of great toys on the market for babies and toddlers. ( There are even toys that teach children how to code! See it here) High tech gifts are great, but sometimes its the timeless and most basic toys that make the best gifts. Let me tell you why you should be buying wooden toys for babies and toddlers. Unlike plastic toys, wooden toys are durable and long lasting. You will get more life out of a wooden toy. Most wooden toys can be passed down to siblings because they hold up so well. A great, long lasting wooden toy is Melissa & Doug Deluxe Pounding Bench. It is literally made to be beat on. 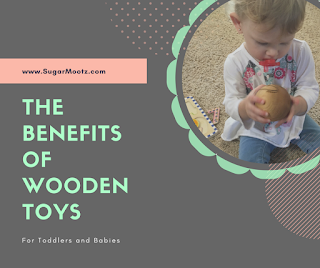 Wooden toys are significantly safer than toys made from other materials. There are no little pieces and no chance of parts breaking off of the toys. Plus, wood is natural and you don't have to worry about possible chemicals that could be lurking in plastics. Finn + Emma make a line of wooden teether rattles that are all natural. Some toys have loud noises and distracting lights, which stunts creative development. Wooden toys are so simple and quiet. When given simple toys, babies and toddlers will play actively instead of passively. With zero distractions, it is easy for them to explore and be creative. One of our favorite wooden toys is the Wonderworld All-in-1 Coffee Shop Pretend Play Toy . There is no shortage of educational toys on the market, right now. The simplicity of wooden toys, however, can be a safer and more active way to learn critical thinking skills. Activity Cubes are great for learning! Hape Country Critters Wooden Activity Play Cube for Toddlers is a very popular cube. Want to see more learning toys for babies? Check out High Low Baby's post, here. Wooden toys make great functional keepsakes. My favorite gift to give babies and toddlers is a personalized wooden puzzle. Wooden puzzles hold up really well over time. When I buy personalized gifts like this, I usually try to shop local. You can check out this handmade personalized wooden puzzle, here. Interest in seeing more handmade toys for babies? Check out Lower Mountain Love's post, here. Babies and toddlers are VERY active! When a puzzle is just not going to cut it, you grab a scoot bike. Wooden toys are limited to stationary play. Durable tricycles, scoot bikes and wagons make great gifts. Plus, scoot bikes are great for balance. Hape Scoot Around Kid's Wooden Ride On Balance Bike is a fan favorite. Interested in toys to keep kids active? Check out Thrifty Mama Life's post, here. 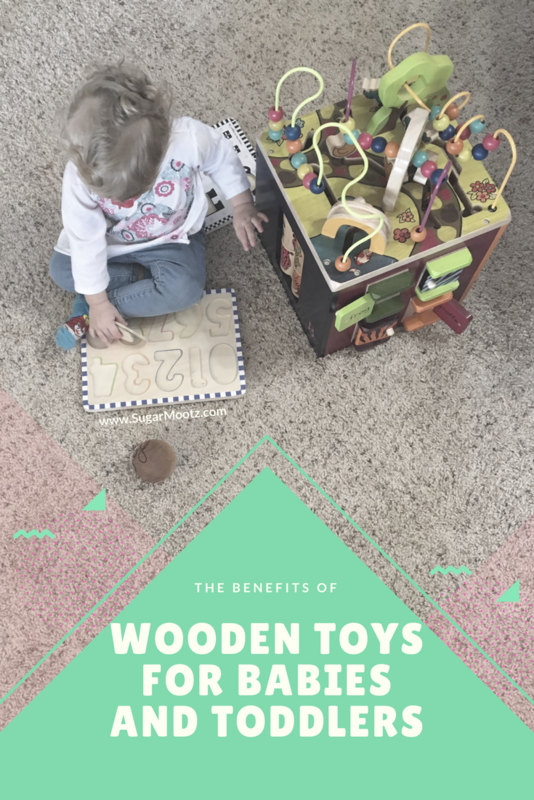 Wooden toys can be great when practicing fine motor skills. With less distractions, kids are able to focus on things like hand eye coordination. Specifically, I love threading toys to help toddlers practice their grasp and muscle control. One simple wooden toy that gets this job done is the Sew 'N' Sew Lacing Toy. Its also pretty inexpensive toy too. 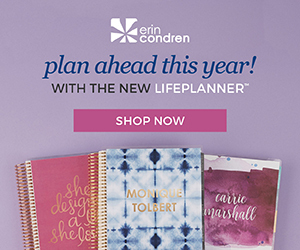 This Gift Guide is in participation with a Holiday Gift Guide Hop. For the full list of Gift Ideas for babies & toddlers, click here.